White water rafting is both a fun and adventurous way to explore some of Australia and New Zealand’s top regions from the water. With several major river systems ranging from the mighty Murray River in the south to the wild and wonderful waters of Tropical North QLD and the beautiful waterways of Queenstown and beyond, there’s a rafting experience for everyone here. With an array of waterways ranging from the calm and scenic to the high octane and adrenaline-filled, both Australia and New Zealand offer a wide range of opportunities for taking part in white water rafting adventures for all ages and skill levels. Simply select a rafting tour from our most popular regions below, or choose from the menu above to pick a rafting trip from many spots all over both countries. The greater Cairns and Port Douglas regions are home to some of the best rafting in Australia, including the Barron, Russell and Tully Rivers - view Cairns tours here. Victoria serves as a great gateway for rafting in Victoria, with an array of nearby waterways that can provide white water experiences of introductory & intermediate levels. As New Zealand’s adventure capital, rafting is just one of many fun-filled experiences to be had; and with the Shotover, Kawarau and other rivers on offer, there’s plenty of rafting fun! Some of the most famous white water rafting areas in Australia include the Barron, Russell & Tully Rivers (Cairns / Port Douglas) and the Mitta Mitta River (Melbourne). 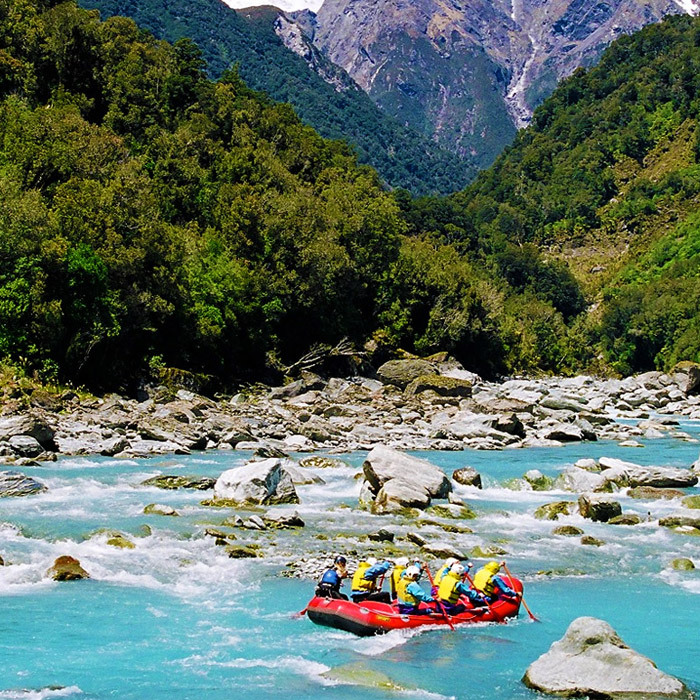 Likewise, New Zealand also has a strong rafting culture due to its abundant rivers and alpine terrain, with the areas around Queenstown (which includes the Kawarau and Shotover Rivers). To view additional information on the available white water rafting experiences available in each area of Australia and New Zealand, including their difficulty grades, available tours, best seasons and more, simply click on the associated region.